Planning a kitchen renovation project? 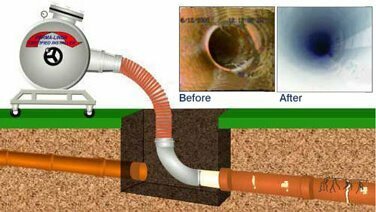 Get plumbing pipe and new kitchen drain installation in NJ from our expert plumbers at A1 Sewer & Drain Company. Call today for a free cost estimate, at 201-645-0888. If you’re planning a new kitchen renovation in NJ, you need experienced local plumbers with years of experience with plumbing pipe installation, drain pipe replacement, and other kitchen plumbing services. 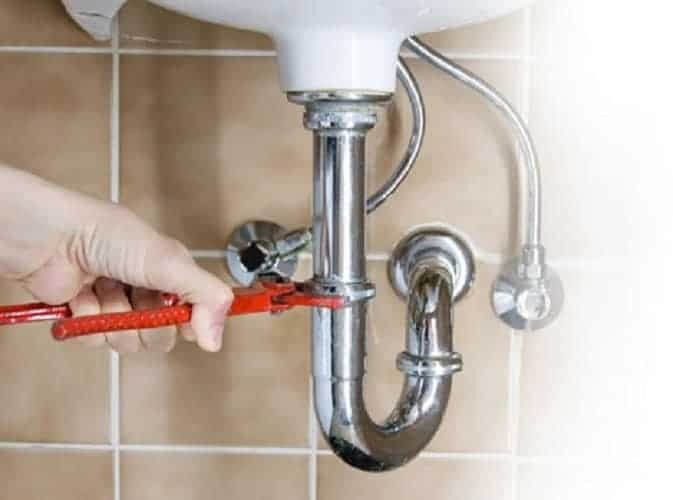 At A1 Sewer & Drain Company, our local plumbing experts can install and replace drains, pipes, and plumbing fixtures for your next kitchen remodeling project. 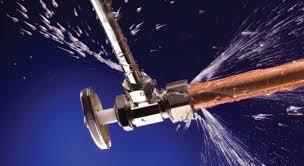 To get a free cost estimate from an experienced NJ plumber, call us today at 201-645-0888. In most homes, the kitchen has one of the highest concentrations of plumbing of any area of the house. Between sinks, dishwashers, garbage disposals, and other necessities, plumbing is an integral part of any kitchen’s functionality. As such, it plays a big role in kitchen renovation and kitchen design in New Jersey. For your kitchen renovation project, you’ll need an experienced local plumber with experience working with home renovations. 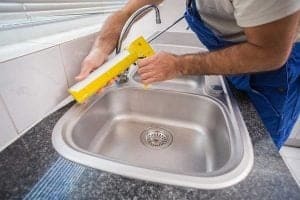 When you hire a plumber for kitchen renovation in NJ, you’ll need to make sure that they have the right qualifications. They need to be licensed. In the state of New Jersey, all plumbers beyond the apprentice level (i.e. journeymen and master plumbers) must meet certain requirements to obtain a license. 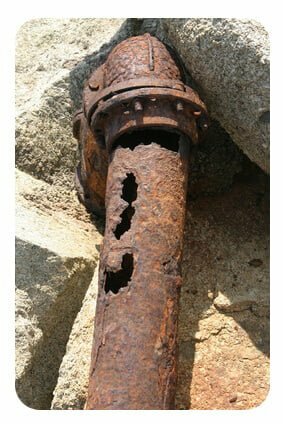 Unlicensed plumbers can be a major liability. Ask around for references and reviews. One of the best ways to find great local Bergen County plumbers is to ask around in your personal network. Friends, neighbors, and co-workers can recommend a good local company for kitchen renovation plumbing. At A1 Sewer & Drain Company, we get many of our customers through good word of mouth recommendations. Have a budget in mind. For kitchen renovation companies in NJ, it’s easiest to work with homeowners who have already determined their budget. Whether you’re planning on your own or consulting with kitchen design professionals like interior decorators, costs can vary depending on what you’re going to need. Hire plumbing contractors with significant experience in kitchen renovation plumbing. Some things are best learned through experience, and plumbing is one of those things. Plumbing installation and replacement is just one facet of kitchen renovations in NJ. 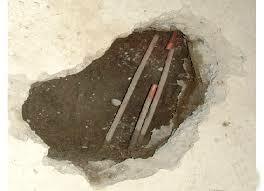 For most homeowners, it’s not even the most interesting part, considering that most plumbing is hidden in your walls. Other aspects like flooring, kitchen counters, and kitchen cabinet installation NJ have more impact on the design and aesthetics of your new kitchen. Along with experienced plumbers, you’ll also need to hire kitchen cabinet installation contractors for your kitchen remodeling project. Great cabinetry combines functionality with aesthetics, and the cabinets are a key visual element of kitchen design. Wood. Kitchen cabinets are available in several different woods, including oak, cherry, pine, birch, and maple. Different woods have different grains, natural color ranges, and suitability for various paints and stains. Door style. Cabinet doors can can be full overlay or partial overlay. Frame style. Cabinets can be framed or frameless. Framed cabinetry tends to look more traditional, while frameless designs provide a seamless look. Customization. Cabinets come in different classes with different degrees of customization. Ready-to-assemble (RTA) cabinetry is budget-friendly but highly prefabricated, while custom cabinets are available in almost any size and material. Drawers. Well-constructed drawers add functionality to your cabinets. You can find drawers that are “soft closing” that won’t slam, as well as self-closing drawers. For kitchen islands, cabinet drawers are available that can be opened from either side. Need experienced Bergen County plumbers for kitchen renovation in NJ? 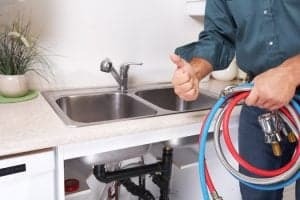 Call us any time at A1 Sewer & Drain Services to talk to a local contractor about your options for new kitchen plumbing. We offer free cost estimates and same-day service for homeowners and businesses throughout north NJ, including Bergen County, Morris County, Union County, Passaic County, and Essex County.